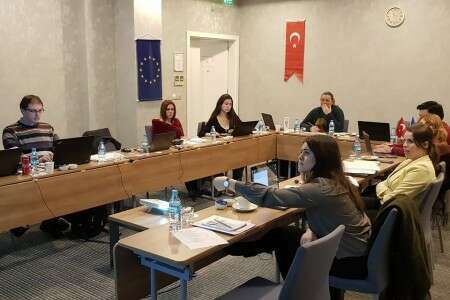 BOS hosted the fourth VM-Pro partner meeting: "Towards International Inclusive Youth Events"
How well is it recognized, and what are the challenges of mentoring young people from vulnerable groups in Turkey, Italy, Serbia, Belgium and Bulgaria? In which mentoring cycles it is desirable to include online tools, and when the live meeting of the mentor and mentee still carries the foresight in a mentoring relationship. How to plan mentoring events internationally in a better way and provide equal conditions and necessary support for all participants are just some of the topics discussed at the partner meeting within the Erasmus + VM-Pro project: Validation of mentoring. Is it good to say what you think? Within the project, The Future of Freedom of Information in Serbia, Partners for Democratic Change Serbia, in cooperation with the Belgrade Open School, held a debate on April 11th, 2019, entitled "Is it good to say what you think?". In the realization of the debate, students of the current 26th generation of the study program Future Studies took part. 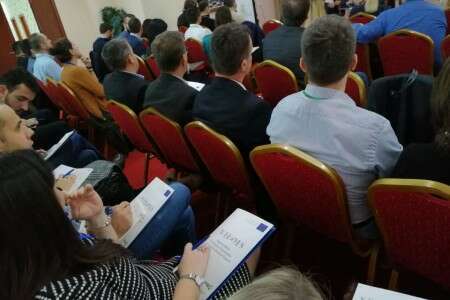 The international conference „Good quality internships in a digital age“ which was organized by the Belgrade Open School, was held on April 10th 2019 in Belgrade. 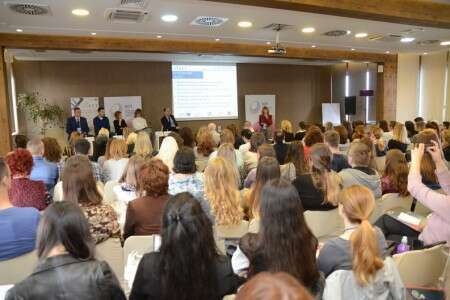 The conference gathered over 130 participants, including high school teachers as well as representatives of private and public organizations and institutions which are dealing with internships in vocational educational schools (VET) and improvement of youth employability. This was the closing event within the project “Virtual Internships for Vocational Education and Training (VIVET)” which was coordinated by the Belgrade Open School. On Wednesday, April 3rd, the Belgrade Open School delivered training on "Tools in mentoring for the empowerment of youth".The aim of the training was to empower teachers, organizations working with youth and for youth, to use innovative tools in mentoring, as well as empowering to launch new mentoring initiatives. 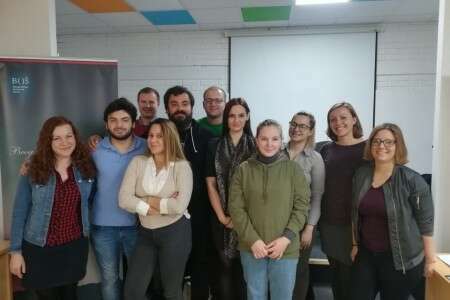 During the 22nd and 23rd of March, the Belgrade Open School organized training for representatives of sixteen civil society organizations engaged in improving the employability of young people within the project "Western Balkan Civil Society Organization for Youth Employment Support" (WeB4YES). Sixteen representatives who attend the training are from organizations that work at the local, provincial and republic level to improve the employability of young people through various actions, as well as public advocacy campaigns. The most important results are achieved in the field of ecological design. It is estimated that the new product design standards, in the three-year period from 2016 to 2019, resulted in achieving savings in energy consumption which is sufficient, for example, to supply electricity throughout Italy. Since the beginning of the refugee crisis, many countries were faced with the bigger inflow of refugee population which needed different support mechanisms – from law support to educational activities. The jubilee tenth generation of educational programme ’’PolitiKAS’’ had an opportunity to find out interesting facts about the specifics of the German political system, on Tuesday, March 12th, in Belgrade Open School. They talked about it with Matthias Schikorski diplomat of the German Embassy in Serbia. Gordana Pilipovic, project coordinator of KAS, introduced Mr. Matthias to students and began the lecture. Mr. Matthias Schikorski introduced the participants to the foundations of the German political system. Through historical and current examples, he spoke about relations of the two houses of parliament, the role of the president and the chancellor, and in general about relations of political institutions and the way they function. The Basic Law for the Federal Republic of Germany and the way human rights and relations are regulated among federal units were particularly interesting to participants. As Mr. Schikorski is part of the diplomatic corps of his country in Serbia, questions about relations between the two countries and the possibilities of even deeper cooperation were inevitable. For the jubilee generation of participants this lecture will serve as an excellent introduction to the lectures that are just ahead of them concerning regional policies, diplomacy, protection of human and minority rights. By the end of the curriculum of the program, there are still twelve lectures that will cover different topics in the field of European integrations and policies that shape our society. At the end, the semester will be rounded off by writing an essay that will cover topics they have had an opportunity to listen to in the spring semester. The XXVI generation of the educational programme "Future Studies" strengthened the team spirit at the traditional Winter School of Teamwork, which was held from February 28 th to March 3rd, 2019, on the Gucevo Mountain. 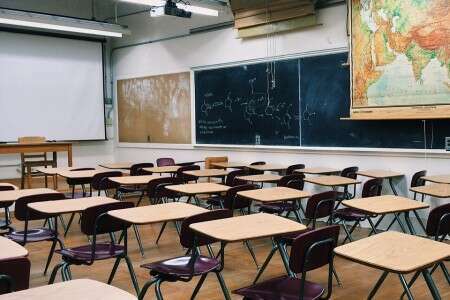 In January 2019 the Bylaw on conditions, work, activities and composition of teams for career guidance and counselling in secondary schools that have educational profiles in dual education was adopted. This bylaw of the Law on Dual Education stipulates new responsibilities of career guidance and counselling teams in secondary schools that have educational profiles in dual education. The Spring semester for the jubilee X generation of the education programme PolitiKAS began on Tuesday, February 19th, 2019. The head of modules, Jelena Babic and Vladimir M. Pavlovic, welcomed the participants, and so did Gordana Pilipovic from the Konrad Adenauer Foundation before the lectures started. 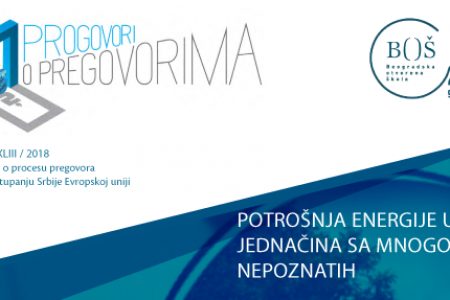 It seems that one of the key obstacles for effective participation of civil society organizations in the process of European integration of Serbia lies in the fact that their participation in working groups for adopting regulations isn’t precisely defined. 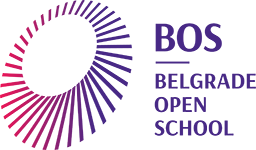 Civil society, gathered in different networks and initiatives such as the Coalition 27 or National Convention on the EU, in this process is relied on its own capacities, previous experience and contacts among the representatives of state administration. While waiting for this mechanism to be changed, it is appropriate to mention that Office of the State Government has already drafted Guidelines for this area, that everything has already been written and defined. Just to be adopted. And applied. On Monday, February 11, 2019, training for participants in civil monitoring and air quality measurement, which will be conducted in cooperation with the Belgrade Open School, was organized in Veliki Crljeni. Citizens interested in measuring the quality of air, who applied for participation in the measurement, had the opportunity to hear more about the issue of air quality in Serbia, to meet with the project team of the Belgrade Open School and to inform about the upcoming measuring of air quality. 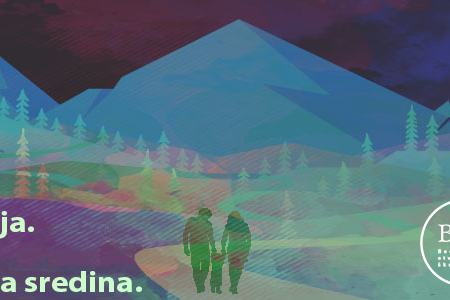 Mentoring for youth is still in infancy in Serbia. The existence of mentoring programs of support, especially for youth from vulnerable groups, is of crucial importance for the development of their potentials, skills and the acquisition of better opportunities in the labor market. In order to bring the mentoring closer to the youth "millennia" the online tools and Android application for mobile phones is being prepared, which will provide additional support through e-mentoring. These are some of the topics that we discussed during the third VM-Pro -validation of youth mentoring project partnership meeting - validation of mentoring for youth. Unemployment among young people in the Western Balkans is alarming, from 32% in Serbia and Montenegro to 46% in Bosnia and Herzegovina. Young people are facing problems such as limited access to reliable information concerning employment and services that should be available to them. 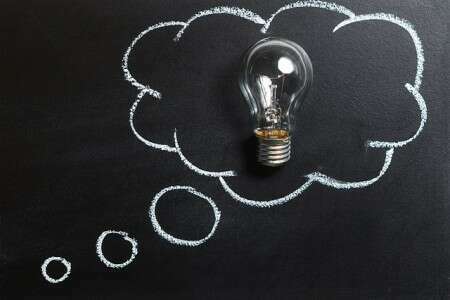 Low-quality of internships and insufficient incentive environment for entrepreneurship are also challenges at the regional level that contribute to this problem, according to research data carried out last year. The spring semester for the 26th generation of the "Future studies" programme began on Tuesday, February 22. of 2019. on the 16th floor of Belgrade palace. The spring semester began with a lecture by BOS' own Jelena Babic, programme manager, as a part of the Intensive module "Europe", and with a presentation of the forms for the final projects which the students will have as a standard activity within the programme. The aforementioned module is aiming at thoroughly preparing students for the coming module Looking towards Europe which is set to begin on February 1st. How to create a quality mentoring program for young people from vulnerable groups? What are the steps in creating inclusive leisure activities? These are some of the issues that are the subject of the three Erasmus + projects in which the Belgrade Open School participates as a partner, presented at the consultative meeting "Social inclusion and empowerment of youth from vulnerable groups", held on January 22, 2019. On Wednesday, January 16th, the Belgrade Open School team organized a webinar under the title "CEU Webinar: Boost Up Your Application" for all students who are interested in continuing their studies at the Central European University. The occasion for this event was an open-call for master and doctoral studies that will be open until January 31st. Do you feel like you’re suffocating? What aboug coughing? Any respiratory disaeses? Your neighbourhood is always under a heavy curtain of smoke? The news never really tell you anything, but you are absolutely sure something’s wrong? You would like to know how things look like for real? Who’s in charge of the air qualtiy anyway?Join us! Belgrade Open School invites you to take part in the action of civil monitoring of air quality in Lazarevac, starting from February to April 2019.If you are interested in takin part in our action, we invite you to complete this questionnaire, no later thatn January 31st. The number of participants is limited. Marking 25 years of existence and successful work, the Belgrade Open School team created a digital monograph organized around three strategic goals of the Belgrade Open School - human resources development, improvement of public policies and capacity building. We are searching answers for you! How does the EU assess the freedom of media in Serbia? Is there a legal framework or internal rulebook which ensures political pluralism of public broadcaster? 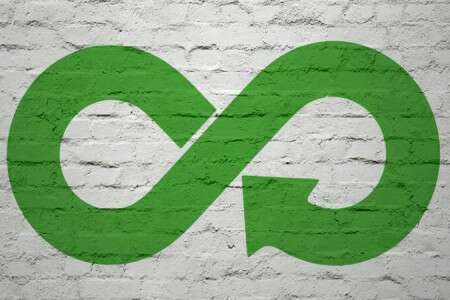 What have we achieved so far with the introduction of the recycle program and the reduction of wild landfills? Is there a control of filtration in heating plants and factories? 26th generation of students, of the educational programme Future studies, has successfully finished the autumn semester on 26th of December 2018. This semester was compounded out of 2 modules - Skills for the future and Future of the state and society. The entire semester was concluded with a lecture on Critical thinking, held by philosopher Ivan Milenkovic. First Training of trainers within ALMIT project was held on Tuesday, December 25th in Belgrade Open School. 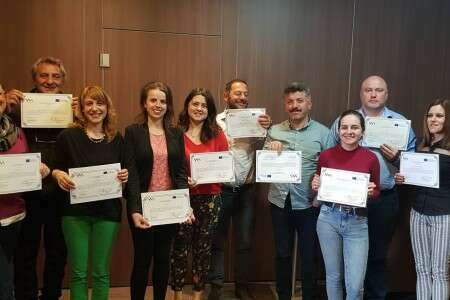 The training was attended by trainers with experience in refugee issues, and representatives of National Team, consisting of Belgrade Open School, Philanthropy – Charitable Fund of Serbia Orthodox Church and Municipality of Šid. Trainers will work on educational programs created for the needs of the migrant population currently residing in Serbia. 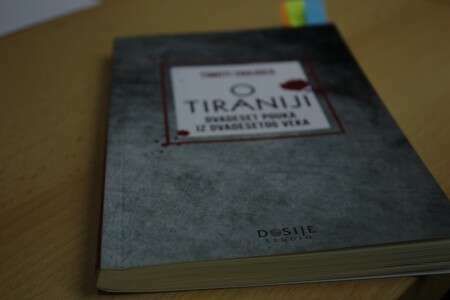 The first book club of this year was held on Friday, 21st of December 2018 at BOS, by the students of the educational programme ‘’Future studies’’ with the book "Tyranny" written by the historian from Yayle, Timothy Snyder, as the main topic. On Saturday, 15th December, professional team of the educational programmes of Belgrade open school has successfully won 20 computers, as a part of the open call "Responsibly within the community" which was conducted under the watch of Vojvodjanska bank. This prize will strengthen BOS' classroom, and will help the students improve their computer skills. The beginning of the third year of the project Civil Society as a Force for Change in Serbia's EU Accession Process (CS4EU) started by gathering of partnering civil society organizations in the premises of Belgrade Open School, on 11-12th December 2018. Would you like your voice to be heard in the EU? Are you interested in the process of the European integration? You do not know enough about the EU, the challenges it faces and the way it is developing? Would you like to raise awareness about the issues which are important and relevant for the future of Serbia and the EU? On Friday 7th December 2018. the students of the 26th generation had the opportunity to meet their respective mentors as a part of the Alumni2Students programme of mentorship. For the 4th year in a row, the programme matches students of the current generation with chosen BOS alumni. The Alumni will again this year be in the role of career and personal advisors for students of the 26th generation. 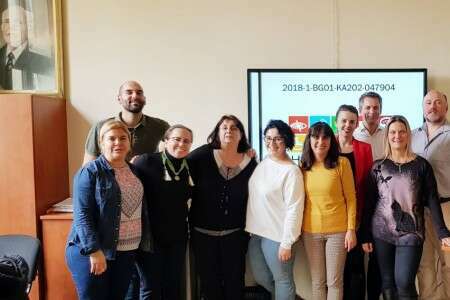 During October and November teachers from 8 secondary schools carried out training on 3D printers for their students, using online platform created in the scope of the project of Belgrade Open School. In total 174 students participated in training courses in several cities in Serbia and thus had an opportunity to gain and enhance their knowledge in this area. Only a day after the EU has published its long-term Climate Strategy, with the aim of achieving zero GHG emissions by the year of 2050, and only a couple days before the COP 24 in Poland, the ministries of the region, gathered at the Ministerial Council of Energy Community, adopted a document on 2030 goals. The first meeting of the National Advisory Group within the ALMIT project was held in Belgrade Open School on Friday, November 30th. The meeting was attended by representatives of institutions that directly and indirectly deal with the migrants issue in Serbia, and they had the opportunity to give their professionally opinion of the implementation of the project. Energy management in Serbia - How do we achieve sustainability? The ultimate proof that something is wrong in Serbia is the fact that the ones known as the champions of energy efficiency are now – the former champions. The ones who started with implementing energy efficiency measures first, even before they were incorporated in national legislation – are not in charge of implementing energy efficiency policy in their local administrations anymore. On Thursday, 29 of November at the Belgrade Open School, was held a presentation of publication for youth called "Green Youth". Members of the editorial board of the Belgrade Open School youth portal - Mingl have created media content on the topics of environmental protection in order to increase awareness among young people about the importance of this topic. On Tuesday, November 27th, 2018, the Fall semester was successfully realized for the participants of the 10th generation of the education program PolitiKAS. In the fall semester of the academic year 2018/2019, the participants had the opportunity to attend classes under the module Politics I and the module Economic and Social Policy. The semester was finished with the lecture of Kosta Andric, Executive Director of ICT Hub, who talked with participants about innovative forms of business and how they are changing existing labour markets. The module Politics I ended with the lectures by journalist Danica Vucenic and professor Vladimir Ajzenhamer on the topics Media through Information and Propaganda and Religions and Politics. In the fall semester, participants of the 10th generation had the opportunity to talk to over 20 experts on 20 different topics, such as the German political system, The History and Theory of Constitutionalism, Dialogue Culture, Fiscal Policy ... Participants will have to write final essays that will address the topics on the mentioned modules. In the second semester, which begins in February 2019, the students will be faced with numerous interesting topics within modules Politics II and European integration. Kick-off meeting within HORECACCESS project In the period from November 21st to 23rd, 2018 at the "St. Kliment Ohridski" University in Sofia, a meeting of partners within the project HORECACCESS - accessibility of services in the HORECA sector was held.The HORECACESS project aims to empower youth engaged in the HORECA industry to provide reliable and accessible services to people with disabilities. 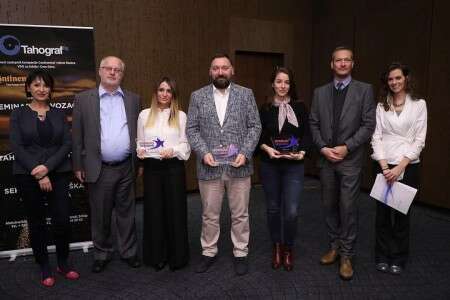 On Friday, November 23rd, the Belgrade Open School received the Serbian Visions award "The Best Vision" for social engagement and continuous contribution for participation in the only multi congress in Serbia - Serbian Visions. For the fourth year in a row, BOS participate at multi congress with a Youth2Business event with the aim to bring together young people and representatives of the business sector by giving them the opportunity to connect, learn more about individual experiences of successful people and their business ventures in Serbia. 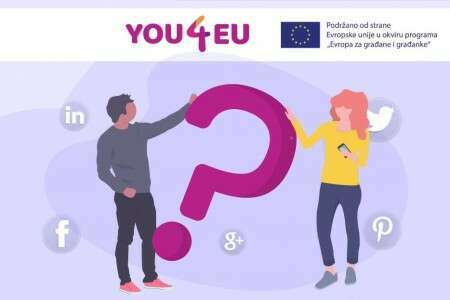 In the period from November 20 to 21, in Durres, Albania, the second Regional Forum on Youth Entrepreneurship was held as part of the Initiative of Civil Society Organizations of the Western Balkans in support of employment of young people (web4yes). The Forum was held with the aim, among other things, to present regional reports on the Development and Promotion of Lifelong Entrepreneurial Learning and the Enabling Environment for Youth Entrepreneurship in the Western Balkans, elaborate recommendations for improving these areas, as well as to strengthen the cooperation of relevant institutions and organizations. Reports were created as a product of a constructive dialogue among all relevant actors within the National Youth Employment Forums held in all countries of the Western Balkans. Belgrade Open School brings you the forteenth edition of its monthly “Energy, Climate and Environment” newsletter. The Belgrade Open School created and organized in-house training about "Energy Leadership" for the representatives of KPMG company. The training was held on Friday, November 23th, at the premises of KPMG, and training was conducted by Miša Lukić, Founder & Chief Business Designer, New Startegy. Who cares about climate change anyway? 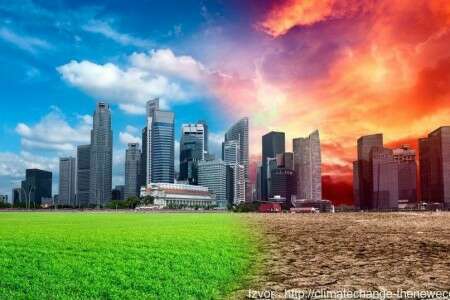 Research has shown that the temperature will rise between 2 to 3 degrees in the region, by the end of the century, even if global CO2 emissions stabilize. 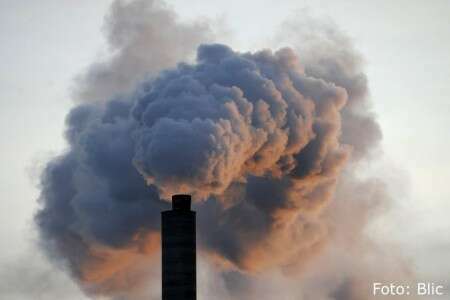 In the opposite case, if the emissions remain on the rise, the region might heat up even more – up to 5 degrees by 2100. 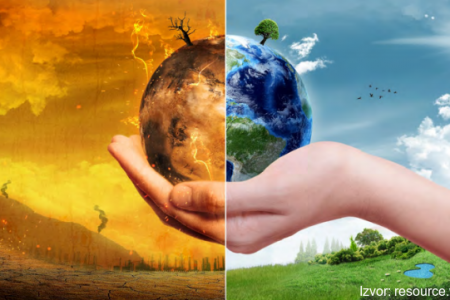 Since most of the economies of the Western Balkans heavily relies on the industries vulnerable to climate change, such as agriculture, forestry, tourism – the information regarding potential temperature rise should be red alert to us. Why do we need just energy transition? We are in dire need for transition from the fossil-fuel based energy system, towards the system based on renewable energy sources. It is, however, necessary to involve social aspects, besides environmental and energy aspects, in energy policy planning, in order to make it sustainable in a long term. Civil society representatives, the ones very invested in monitoring of public authorities, were careful enough to notice the information on GHG emissions from 2014. 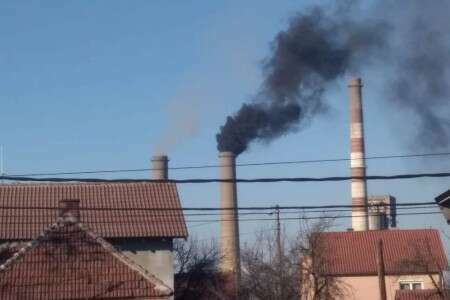 This well-known controversial information has once again emerged and, after firstly emerging in the Second National Communication of Serbia, it has found its place in the Report on the State of Environment in Serbia for 2017, issued by the Serbian Environment Protection Agency. The Belgrade Open School celebrated 25 years of its successful work on Wednesday, November 7, at the "Stadion Hall" hall in Belgrade. At the celebration, the atmosphere was embellished by more than 600 partners, donors, alumni and friends of the organization, who, through numerous programmatic and multimedia content and addressing representatives of the organization, had the opportunity to experience the unique retrospective of BOS's development since its inception in 1993. How much do we pay for district heating? How much money is necessary to keep the kindergartens warm? What about decorative public lighting? 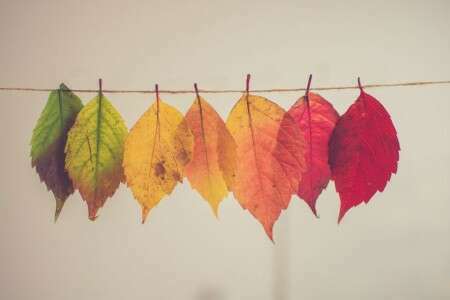 Organizations gathered in the Network of Good Energy provide us with the instruction on how to find some of the answers. In this, 43rd issue of the monthly Newsletter we are talking and writing about „green“ topics. This month theme is text about problems regarding energy consumption in Serbia that you can read in the article – Equation with multiple variables. An overview of the harmonization of Serbian legislation with the legislation of the EU and spending funds in Chapter 27 – Environment and Climate Change is presented in the Commentary Green Fund and other problems. 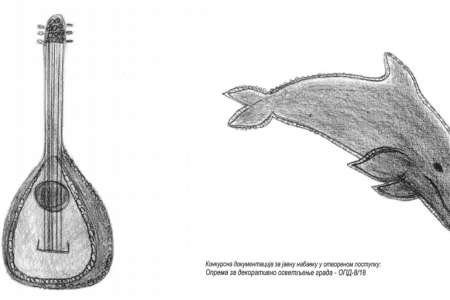 Why we need a just energy transition is a Column where you can read about three images of the future of Serbia going through different paths of energy transition. 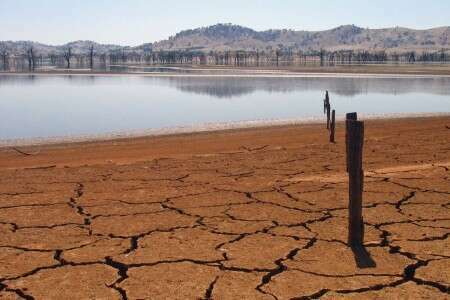 How many more years we have on Earth with this pace of global warming, we are asking ourselves in the text What are we going to do with climate change? The new number of monthly Newsletter is available here, and you can access the previous numbers on this link. Day after the 25th birthday celebration of Belgrade Open School, a kick off meeting of new, transnational project YOU4EU - Citizen Participation 2.0, was held in BOS' premises on 8th and 9th of November. Share with us your best idea for better Europe by submitting the idea, which can be rewarded, by April 25th, 2019! 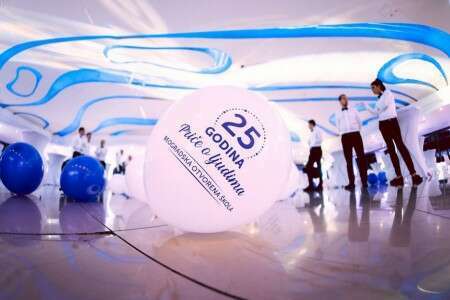 Within the celebration of the 25th anniversary of the Belgrade Open School on November 7th, 2018, at the Shopping Moll "Stadion", the diploma-awarding ceremony for representatives of the 25th generation of the educational programme Future Studies was held. Consultative Forum within the project "50 Ideas for Europe - New Leaders, New Opportunities" was held from the 24th to 26th of October 2018 in Novi Sad. Belgrade Open School brings you the thirteenth edition of its monthly “Energy, Climate and Environment” newsletter. Belgrade open school (BOS) wished a warm welcome on Monday 8th October to students of the new XXVI generation of the Future studies educational programme. 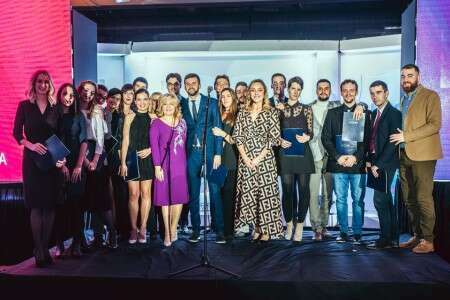 The whole of BOS team, with its general director Vesna Djukic at the forefront, greeted the new generation which consists of 22 chosen students. After the opening word, the students had the chance to introduce themselves as well. On Thursday, 11th of October in the premises of Belgrade Open School the training course for teachers „3D technologies in the field of vocational education and training“ was organized. 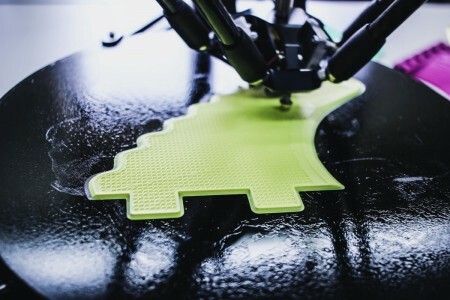 The training course was carried out within the project “3D4VET - 3D Modelling Curriculum and Applications for 3D Printers and Tabs for VET Schools”. Brussels, October 8th 2018: Just 24 hours ahead of the meeting of EU environmental ministers, in which the position if the EU ahead of the COP 24 in Katowice will be discussed, the leading scientists presented firm scientific evidence on the need to limit global temperature rise within 1.5 degrees. The latest report of the Intergovernmental Panel on Climate Change – IPCC, which is a document discussed and adopted by government representatives form all over the world, provided indisputable evidence on severe consequence of future global warming, which could only be avoided by prompt and comprehensive change in all aspects of modern society. The Belgrade Open School organized on September 26, in the Hotel Zira, the second meeting of the National Youth Employment Forum. The National Youth Employment Forum is a platform that has gathered relevant stakeholders in the field of employment, employability and entrepreneurship of young people, in order to map solutions of challenges in these areas through cross-sectoral approach. How can career guidance and counseling contribute to the prevention of students drop-out from secondary schools? On 27th and 28th of September 2018, Belgrade open school (BOS) organized a two-day accredited training: ''Career guidance and counselling as a mechanism for the prevention of students drop-out''. Twenty teachers and teachers’ associates from ten schools from all around Serbia participated in the training held in Hotel ''Prag''. Belgrade Open School brings you the twelfth edition of its monthly “Energy, Climate and Environment” newsletter. The lectures on the educational programme „PolitiKAS“ have started on Tuesday, September 25th 2018. for the X generation of participants. Welcoming speeches were held by Danijela Grubnic, coordinator of the educational programmes of Belgrade open school, Gordana Pilipovic, project manager for Konrad Adenauer Foundation. Belgrade open school in collaboration with Konrad Adenauer Stiftung and Eduardo Frei Foundation (EFF) has marked the beginning of a one-year educational programme for its X generation for the academic year 2018/2019 with the School of teamwork held from September 20th - September 23rd at "Vojvodina" hotel in Zrenjanin. 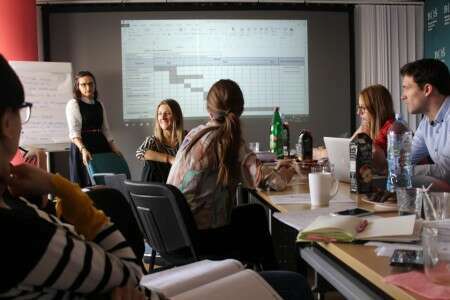 A training on the basics of journalism, within the capacity building program intended for journalists of Mingl e-journal, was held in Belgrade Open School, on Saturday, September 22nd. The training was delivered by Ms Lidija Tomić, from Deuthschle Welle Academy, and Mr Adam Santovac, TV journalist from N1 TV. BOS develops human resources, improves public policies and strengthens the capacities of the civil, public and business sectors in order to develop a better society based on freedom, knowledge, and innovation.